Whether you are shopping for yourself or for a gift, you always want to find the best deal, right? 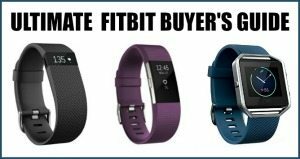 So today I'm sharing tips on where to buy fitbit on sale and best fitbit prices for each model. 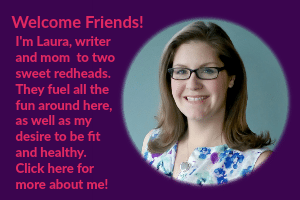 This post includes affiliate links for easy deal shopping. Since I started using my Fitbit I've been really interested to see the new models they have come out with, as well as the price fluctuations that happen throughout the year. Fitbits are once again a hot ticket item for the holidays but people buy them year round. 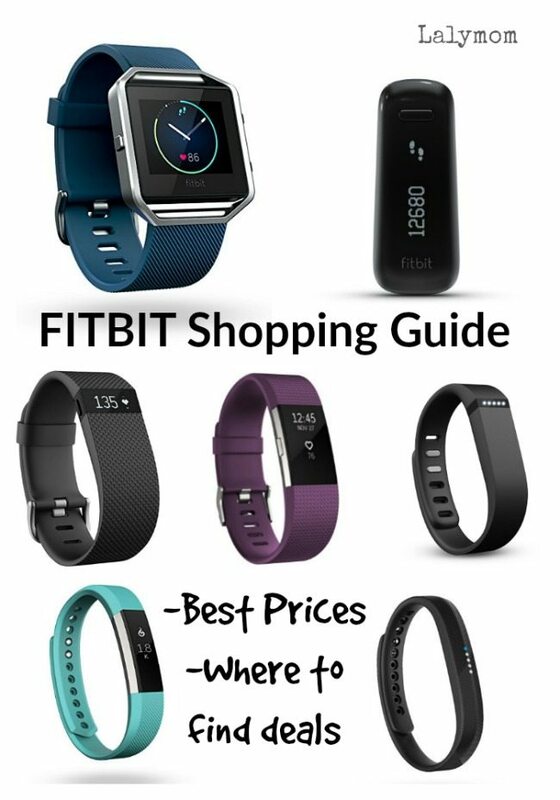 This guide shows historical price trends n the various fitbit models, as well as where to shop in order to find those low prices. If you are shopping around the holidays, chances are you can catch a great deal on Fitbits. The rest of the year most retailers are pretty steady and you will probably find the best deal on Amazon. So below you'll find listings of the BEST prices, but you cannot always hold out for those prices since Black Friday only comes once a year. The tips below will help you decide when to pull the trigger! 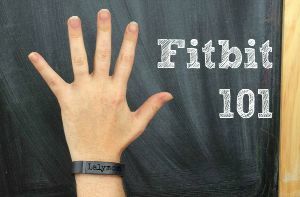 -Fitbit 101- What Is a Fitbit and How Do I Get Started? -Fitbit Ionic Vs. Fitbit Versa Vs. Fitbit Charge 3: Which One is Right For You? -Fitbit Vs. MOTIV Ring – Can a Fitness Tracker Really Fit in a Ring? 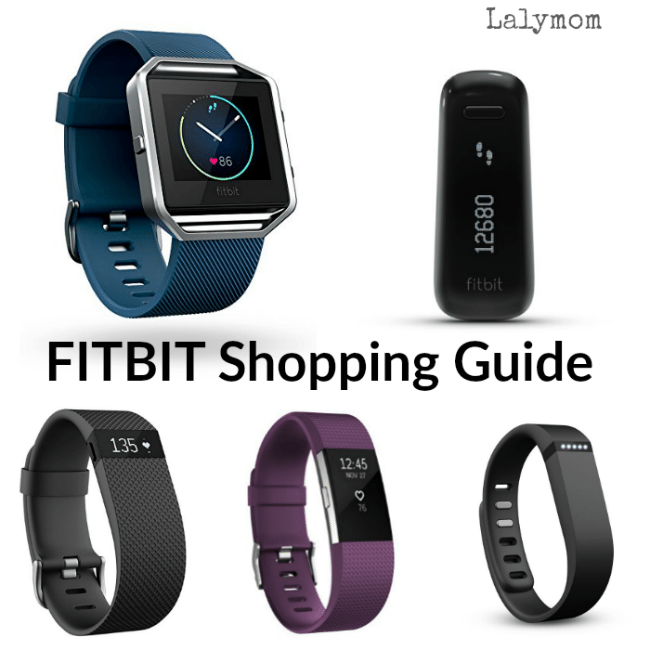 When you are shopping for Fitbits, several factors con influence “today's best price” so shop around with these tips in mind. -Band colors- If you are not set on a specific color band, always check to see if other colors are selling at a lower price. Especially on Amazon. -How long the one you want has been on the market- You might not see numbers fluctuate on the brand new Charge 2 or Flex 2 for months, so if you do see one on sale, snap it up right away! -New models coming out- When new new models are announced you often begin seeing more sales on the other models. If don't need the very newest model, it could save you money. -Refurbished Fitbits – If you see a crazy low price on any fitbit model, before you click “BUY NOW” just double check the fine print to see if it is refurbished. There is nothing wrong with buying certified refurbished fitbits, however, read through reviews before you buy. Some “refurbs” oddly do better than others. Reviews for Refurbished Fitbit Flexes on Groupon warn of awful battery performance. Ultimately it is up to you if the lower price is worth it. Either way, be sure to read up on reviews and check the warranty details. In the end I highly recommend getting an original rather than a refurbished model in order to have the full warranty and top quality. Fitbit sorts their trackers into two categories: Fitness Trackers and Smart Watches. If you are just looking to see your average daily step count, and basic stats, start with a Fitness Tracker. For more advanced features like a color touch screen display and the ability to add apps to your watch, you'll want to check out Fitbit Versa or Fitbit Ionic. A few notes about best prices. I follow price drops on Amazon, I monitor Fitbit's own sales as well as those at big box sites but I am not responsible for sale deadlines and cannot control what any retailer does. Amazon almost always beats or matches the best prices you'll see on Fitbits. It is always where I check first. Amazon prices fluctuate regularly whereas prices on others sites are pretty steady, other than Black Friday deals or the occasional other holiday sale. Plus Amazon Prime gives you free 2 day shipping as well (Click here for a Free 30 Day Trial of Amazon Prime). If you plan on waiting to shop brick and mortar stores on Black Friday in person, hoping to score an extra awesome deal, check the fine print on any coupons or incentives before you stand in line or go fight the crowds. If you are hoping to use a coupon at Bed Bath and Beyond or Kohls, for example, their coupons usually specify that they do not apply to Fitbits and other premium brands. In that case, you might as well stay home and snag your Fitbit for the same price from Amazon, while you lounge around in your PJ's! Okay on with the prices, below! RELATED: 17 FITBIT REWARD$ PROGRAMS– Earn Cash and Prices with your Fitbit! Fitbit Flex 2 – The entry level fitness tracker, Fitbit Flex 2 is the first model that was billed as swim proof, which is big considering so many people THINK all fitbits are waterproof but many older fitbits are NOT waterproof. Flex 2 also added Call & Text Alerts, which the popular Fitbit Alta offered to much fanfare. One note: Fitbit Flex is currently the only model without a watch face. It is more of a bracelet style, so you would still need a separate watch with this tracker. Overall, given the price and that it is waterproof, I'd say Fitbit Flex 2 is the Best Value Buy of the bunch. Last year the Black Friday Price was $59. It went back up to $79 until May 2018, and since then it has seemed to float around $54 and $59. Fitbit Alta – The next step up from Flex 2 is the Fitbit Alta and Fitbit Alta HR. It is slim, light and stylish. In comparison with Flex 2, The Alta adds a watch face and the HR version has heart rate tracking. Built with the intention to allow users to change out the bands easily, there are a lot of accessories available for Alta. This Fitbit is Not Waterproof. Last Year on Black Friday Alta HR was $99. It normally fluctuates between $119 and $139. Last Year on Black Friday the Alta without Heart Rate Tracking was $79. Otherwise it fluctuates widely, anywhere between $99 and $149. Similar to other older models of Fitbits, there are a lot of third party sellers on Amazon selling the Fitbit Alta that doesn't have HR tracking. If this is the one you want I'd buy directly from Fitbit.com to avoid any refurbished models. All of the current models are sold by Fitbit on Amazon, so it's pretty straightforward. Fitbit Charge 3 – Charge 3 is the fullest feature fitness tracker before you get to the smartwatches, and it is waterproof. Essentially, this means that the Fitbit Charge 3 has heart rate tracking, and lots of top level features but has a black and white screen. For a full comparison of the three top level models, check out this guide: Fitbit Versa VS. Fitbit Ionic VS. Fitbit Charge 3. Fitbit Charge was released after Black Friday last year, so they have not run sales on it yet. Prices have been steady at $149 but it is def going to be lower with Black Friday Prices on Amazon. Fitbit Versa – Versa is my top pick for Best Lifestyle Fitbit. It has premium features like connected GPS tracking and on board music as well as all the bells and whistles of the fitness trackers. It is easy to dress up if you work in an office setting or are heading out on the town. 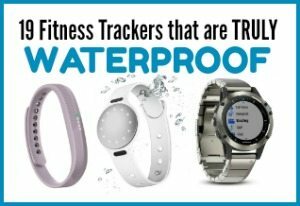 Plus Fitbit Versa is waterproof! For a full comparison of the three top level models, check out this guide: Fitbit Versa VS. Fitbit Ionic VS. Fitbit Charge 3. Fitbit Versa seems to be heavily featured on Black Friday Deals this year with $50 off. Snag it from the comfort of your own home because, Pro Tip: Amazon will be matching those prices! Fitbit Ionic – Ionic if my top pick for Best Athletic Fitbit. It has allll the features but it is a little less dressy. The biggest difference between the other models is that it has onboard GPS, which means you can head out for a run without your phone and track your pace, route and distance without your phone. For a full comparison of the three top level models, check out this guide: Fitbit Versa VS. Fitbit Ionic VS. Fitbit Charge 3. Fitbit Ionic prices have fluctuated between $249 and $299. It was not heavily discounted for Black Friday Last Year. Look for $70 off for Black Friday 2018. Fitbit Aria 2 Smart Scale – The Fitbit Aria 2 Scale is a bluetooth enables scale that syncs with your Fitbit App to give you easy to access data. 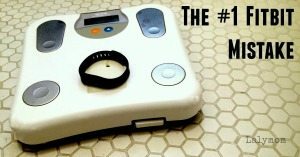 It measures weight, Lean Mass, BMI and Body Fat Percentage. Fitbit Aria 2 Scale prices have fluctuated from $99 to $128 but was not featured in last year's Black Friday Sales. Fitbit Flyer Wireless Headphones – These are sweatproof, wireless headphones that allow you to control your music and volume as well as take calls if you have your phone with you. If you use a Versa or Ionic you can sync with the Flyer to listen to the music you save to your watch. Flyer prices have been between $100 to $129 and were not featured on Black Friday sales last year. As Fitbit comes out with new models, their older models are moved to the bench. They are no longer sold by Fitbit but you can often find them for sale by third party sellers on Amazon at decent prices. If you don't need the newest, latest model with all the coolest features, one of these can be a good option. The tricky thing about buying through third party sellers is that they control the price, not Fitbit, so they vary widely. Also read the terms on amazon to see what the warrantee is on these models. Fitbit Zip – The Fitbit Zip is a small clip-on model that you wear on your belt, pocket or bra strap. It tracks your steps, distance and calories burned. No watch function, no sleep tracking or heart rate tracking. Simple to use and like all Fitbits, it syncs with smart phones or the app on your computer. This Fitbit is Not Waterproof. The historical rock bottom price I've seen on Amazon was Black Friday 2015 at $40. Fitbit One – Another clip-on model, the Fitbit Zip has all the tracking features of the Zip plus sleep tracking, floors climbed and a clock display. No heart rate function. This Fitbit is Not Waterproof. The historical rock bottom price I've seen on Amazon was $74.99. This model fluctuates in price more than many others. Fitbit Flex (original model) – Fitbit Flex is the Fitbit that many people think of as the breakout fitness tracker that started the trend. It is a wrist band model, with a two prong fastener (rather than a clasp) and shows your step progress as a series of dots on the face. There is no clock on the face but it tracks steps, distance, calories and sleep. 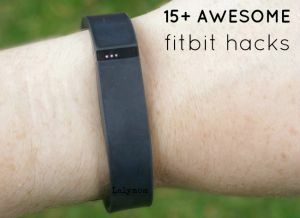 The removable tracker lends itself to a large selection of Fitbit Accessory Bracelets. Fitbit is not advertising a Black Friday price for the original Flex because they released Flex 2 (below). However they are still available for purchase. This Fitbit is Not Waterproof. The historical rock bottom price I've seen on Amazon was Black Friday last year at $55. A good sale price is $79. Prices have really been fluctuating on the original Flex, probably because they have been replaced by Flex 2 but there are still a lot of original models out there. Fitbit Alta – The Fitbit Alta is the fashion forward model that is similar to the Flex with a few differences. It has a watch face and removable bands so you can mix and match the colors. This Fitbit is Not Waterproof. Black Friday Price on Fitbit.com started at $99.95. The historical rock bottom price I've seen on Amazon was $84 shortly after its release. A good sale price is $99. See a full review of Alta Here. Fitbit Charge – Fitbit Charge is considered an Everyday tracker because it does not have the Heart-rate tracking capabilities of its sister, the Fitbit Charge HR. Lots of great features though, in fact all the great tracking capabilities of the Alta but with a different band style. No removable fashion bands either, but still a cool, capable tracker. Since they released Charge 2, there are no Black Friday Deals listed on Fitbit's website on the Charge but they are still available for purchase. This Fitbit is Not Waterproof. The historical rock bottom price I've seen on Amazon was $79 but sizes and colors have varied in price a lot. > Check Charge Prices on Amazon<< Note: this is for the charge that does NOT have heart rate tracking capabilities. Fitbit Charge HR – Fitbit Charge HR took Fitbit into new territory with a constant heart-rate monitoring feature. It also had perhaps my favorite upgrade: the watch clasp! Previous wrist models from fitbit all features the two prong closure rather than the watch clasp. I always purchased watch clasp wrist bands for my other models because it felt more secure so I was grateful for this upgrade. Fitbit does not have Black Friday prices advertised for Charge HR since it released Charge 2. This Fitbit is Not Waterproof. The historical rock bottom price I've seen on Amazon was $89 depending on the color and size. Like the Flex, the prices have fluctuated a lot since Fitbit released the Charge 2. Fitbit Charge 2 – The newest heart-rate fitness tracker seems to combine all the other favorite features from all of their previous models into one. It has removable bands and a watch on the face, like Alta, but the heart-rate tracking capabilities of the Charge HR. It maintains the text and call alert capabilities of both of those as well. Black Friday price on Fitbit.com started at $129.95 and goes up when you choose premium bands. This Fitbit is Not Waterproof. The historical rock bottom price I've seen on Amazon was when it dipped down into the mid $109 range and a good, rare sale price is $129. Fitbit Blaze – Woo, now Blaze looks and acts more like a Smart Watch than just a fitness tracker. The screen is a step up and offers way more information, like a round watch face, music controls, workout stats and more. You can also customize the bands. Black Friday price on Fitbit.com started at $169.95. This Fitbit is Not Waterproof. The historical rock bottom price I've seen on Amazon was $149 in February 2017. Sales are rare on Blaze, so far, though. Fitbit Surge – Fitbit Surge was billed as the Ultimate Fitness Super Watch. The biggest feature you get with it is built in GPS, which is key for endurance athletes. Black Friday price on Fitbit.com started at $219.95. The historical rock bottom price I've seen on Amazon was $197.99. A couple colors sank to $169 for one random day earlier this year but for most of the year anything under $240 is as good as it gets. Fitbit's wi-fi enables scale syncs with your fitbit app to put all your weight and fitness stats in one place. The historical rock bottom price I've seen on Amazon was $89. Black Friday price on Fitbit.com started at $99.95. It's under the Clips and more section at the bottom. It fluctuates most of the year between $100 and $129. Got a tip that I'm missing? Share your tips for where to find the best prices on Fitbit in the comments below!